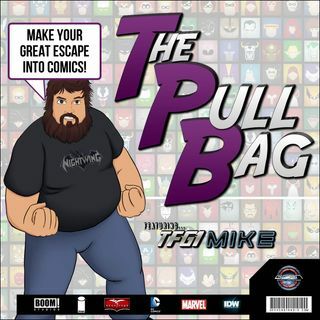 The Pull Bag Episode 139 is here! TFG1Mike and ComicRevolt Dan start a NEW Image Comics series. Hadrian's Wall from Kyle Higgins, Alec Siegel, and Rod Reis! It's a murder mystery in space! So join us as we talk about the first 2 issues of this all new series from the C.O.W.L. creative team! As always be sure to MAKE YOUR GREAT ESCAPE INTO COMICS!!! KYLE HIGGINS ON THE I WORD PODCAST!